However, she observes: “how can Western feminist theory find access to this text without appropriating yet another Latin American work? “What exactly are genres? Are they a classifying system matching the phenomenal world of objects, a sorting principle that separates oranges from apples? Or are they less than that, a taxonomy that never fully taxonomizes, labels that never quite keep things straight? What archives come with genres, what critical lexicons do they offer, and what maps do they yield? And how does the rise of digitization change these archives, lexicons, and maps? “4. For a good basic introduction to blending, see Fauconnier and Turner, “Mechanism.” More generally on Turner’s recent work, see Turner, “Cognitive Study,” Lit­erary Mind, “Mind,” Reading Minds, and “Way”; Fauconnier and Turner, “Rethinking” and Way. 5. Turner established a research center on cognitive studies at Case Western Reserve University in 2004. 6. Let me note here the Journal of Narrative Theory 34.3 (2004) and the Journal of Literary Theory 1.2 (2007), as well as a few of the numerous books on the emotions and empathy: Benedict; Roberts; Kövecses; Terada; Hogan, Mind; and Keen. Note that in the blurb about her, it indicates that Fludernik is “completing a study of prison metaphors in English literature” (p.924) – sounds fascinating to me! Ref: Fludernik, Monika. ‘Narratology in the Twenty-First Century: The Cognitive Approach to Narrative’. PMLA 125.4 (2010): 924–30. Adler, Hans, and Sabine Gross. “Adjusting the Frame: Comments on Cognitivism and Literature.” Poetics Today 23.3 (2002): 195–220. Benedict, Barbara M. Framing Feeling: Sentiment and Style in En glish Prose Fiction, 1745–1800. New York: AMS, 1994. Coulson, Seana, and Todd Oakley, eds. Conceptual Blend­ing. Spec. issue of Cognitive Linguistics 11.3–4 (2001): 175–358. Coulson, Seana, and Todd Oakley, eds. Conceptual Blending Theory. Spec. issue of Journal of Pragmatics 37.10 (2005): 1507–742. 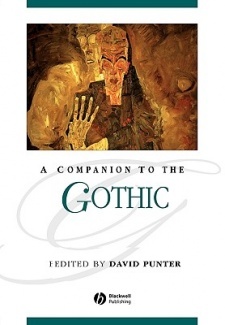 Fauconnier, Gilles, and Mark Turner. “A Mechanism of Creativity.” Poetics Today 20.3 (1999): 397–418. ———. “Rethinking Metaphor.” The Cambridge Handbook of Metaphor and Thought. Ed. Ray Gibbs, Jr. Cambridge: Cambridge UP, 2008. 53–66. ———. The Way We Think: Conceptual Blending and the Mind’s Hidden Complexities. New York: Basic, 2002. Gavins, Joanna, and Gerard Steen, eds. Cognitive Poetics in Practice. London: Routledge, 2003. Gibbs, Raymond W., Jr. “Evaluating Contemporary Models of Figurative Language Understanding.” Metaphor and Symbol 16.3–4 (2001): 317–33. Herman, David, ed. Narrative Theory and the Cognitive Sciences. Stanford: Center for the Study of Lang. and Information, 2003. ———. The Mind and Its Stories: Narrative Universals and Human Emotion. Cambridge: Cambridge UP, 2003.Richardson, Alan, and Francis F.
Kövecses, Zoltán. Metaphor and Emotion: Language, Cul­ture, and Body in Human Feeling. Cambridge: Cambridge UP, 2000. Richardson, Alan, and Francis F. Steen, eds. Literature and the Cognitive Revolution. Spec. issue of Poetics Today 23.1 (2002): 1–182. Roberts, Nancy. Schools of Sympathy: Gender and Identi­fication through the Novel. Montreal: McGill- Queen’s UP, 1998. Semino, Elena, and Jonathan Culpeper, eds. Cognitive Stylistics. Amsterdam: Benjamins, 2002. Sternberg, Meir. “Universals of Narrative and Their Cognitivist Fortunes.” Poetics Today 24.2–3 (2003): 297–395, 517–638. Terada, Rei. Feeling in Theory: Emotion after the “Death of the Subject.” Cambridge: Harvard UP, 2001. Turner, Mark. “The Cognitive Study of Art, Language, and Literature.” Poetics Today 23.1 (2002): 9–20. ———. The Literary Mind. Oxford: Oxford UP, 1996. ———. “The Mind Is an Autocatalytic Vortex.” The Literary Mind. Ed. Jürgen Schläger and Gesa Stedman. Tübingen: Narr, 2008. 13–43. ———. Reading Minds: The Study of English in the Age of Cognitive Science. Princeton: Princeton UP, 1991. ———. “The Way We Imagine.” Imaginative Minds. Ed. Ilona Roth. London: Oxford UP; British Acad., 2007. 213–36. Zunshine, Lisa. Strange Concepts and the Stories They Make Possible: Cognition, Culture, Narrative. Baltimore: Johns Hopkins UP, 2008. Print. ———. Why We Read Fiction: Theory of Mind and the Novel. Columbus: Ohio State UP, 2006. I l ike this book – just started reading it and it’s ‘easy’, ‘clear’, and inclusive. 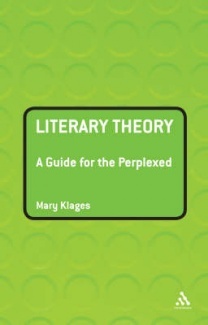 She puts key theories in context and makes sense of them in a truly accessible way. like. 1. What is “Literary Theory?”; 2. Humanist Literary Theory; 3. Structuralism; Interlude: Humanism, Structuralism, Poststructuralism; 4. Deconstruction; 5. Psychoanalyses; Interlude: ‘Self’ to ‘Subject’; 6. Feminisms; 7. Queer Theory; Interlude: History to Historicism; 8. Ideology and Discourse; 9. Race and Postcolonialist Theories; 10. Postmodernism; Coda – ‘Now what?’; Bibliography; Index. Again, Godzich wrote this book 20 years ago, but it’s an interesting statement: “…the situation of art today is, in Adorno’s own term, ‘aporetic.’ For if, in the past, art had been in the service of rituals or other religious beliefs and practices, its achievement of autonomy in the age of Enlightenment was but the prelude to a new enslavement. Our society, which Adorno sees as ruled by instrumental reason, whose institutional hallmark is the bureaucracy, is totally, and structurally, unwilling to let art have its autonomy to give it the motility of a commodity, which becomes subject to the operations of a market, and thus functions as the vehicle of dominant ideology. The market itself is the object of controls, among which is the scholarly study of art, which serves to establish hierarchies of (marketable) values and thus provides the ground for market strategies. 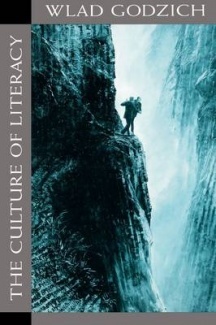 Ref: Wlad Godzich (c1994) The Culture of Literacy. Harvard University Press: Cambridge, Massachussetts and London, England.